Almost immediately after leaving the United States in early 1945, the women who would eventually make up the 6888th were introduced to the rigors of war. During the trip across the Atlantic Ocean German U-boats forced the convoy of troop ships to change course. The event had a chilling effect on the women. “Darn tootin’ I got scared,” recalled Mary Ragland. “Especially when you can’t see land all around” she added. Once the women arrived in England on 14 February 1945, they had another scare. As they disembarked from their ship, a German V1 rocket, also known as a “Buzz Bomb” for the sound of its engine, dove into the area. As the noise of the engine filled the air, the women ran for cover. No one was killed, but the event served as a harsh reminder that even behind the lines, soldiers were at risk at all times. The 6888th was organized on 4 March 1945 at Birmingham, England, and pitched mail at a facility there until after the end of the war in Europe in May. 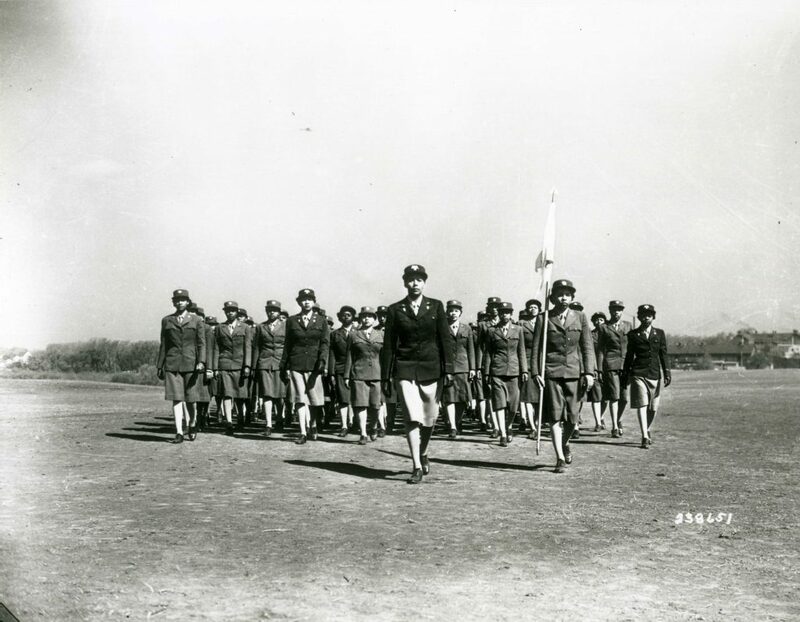 With approximately 850 officers and enlisted personnel, this Women’s Army Corps (WAC) unit was organized into four postal directory companies—A, B, C, and D—and a Headquarters company, which handled all administrative and service support duties. Major Charity Adams commanded the battalion. She had joined the Women’s Army Auxiliary Corps (WAAC—the predecessor to the WAC) in 1942 and became the first African American woman to receive an Army commission. She ended the war as a lieutenant colonel and as the highest ranking black woman in the Army. The women of the 6888th were discouraged when they discovered warehouses crammed from floor to ceiling with mail and packages that had not been delivered for at least two years. Rats the size of cats had broken into some of the Christmas care packages for front line soldiers and eaten their contents. The women went to work, organizing a system that would break the bottleneck of undelivered mail. The WACs set up a system of Army Postal Office (APO) carts to pitch mail. Once the carts were full, the mail would be delivered to the APOs for further distribution. For soldiers with common surnames, like “Smith,” the clerks used special locator cards which contained the soldiers’ names and unit numbers to ensure proper delivery. The also repackaged damaged goods and sent them out. Work conditions were less than ideal. The women pitched mail in damp, poorly-lit warehouses without heat. The windows were all painted over for blackout conditions. To battle the cold, some women resorted to wearing ski pants, field jackets, fatigues or anything else to keep warm. They worked eight-hour rotating shifts, seven days a week. The job, which was supposed to take them six months, was completed in only three. The 6888th was self-contained, meaning it was not attached to any male unit. It managed its own mess hall, motor pools and supply rooms. It had its own military police and a chapel. The 6888th also had its own public affairs officer and a battalion newsletter, Special Delivery. It hosted sports teams and even put on dances at Army hospitals around England. 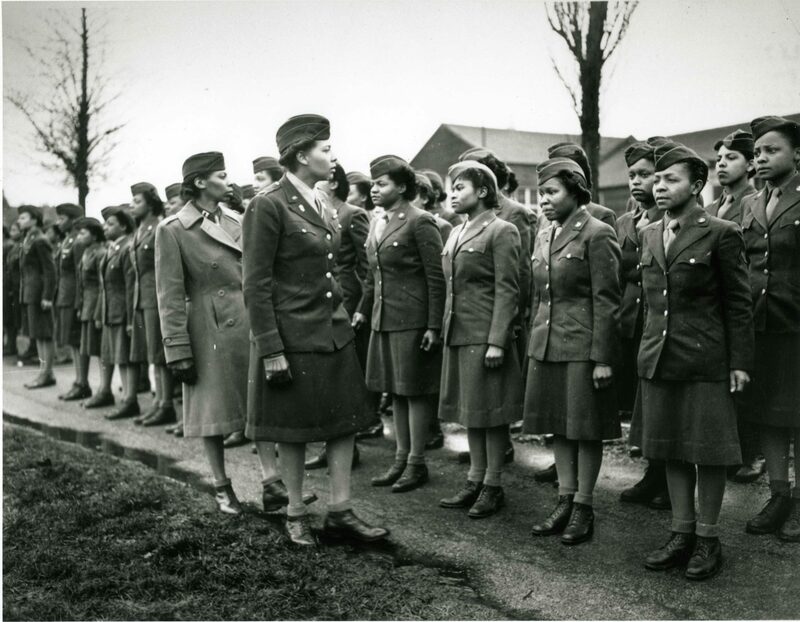 In fact, all the positions of an Army battalion—communications, record keeping, and recreation—were staffed by black women. As with any minority unit in a segregated army, the 6888th experienced its share of sexism and racism. When some African American male soldiers thought the women came to Europe to provide them companionship, the ladies quickly set them straight. 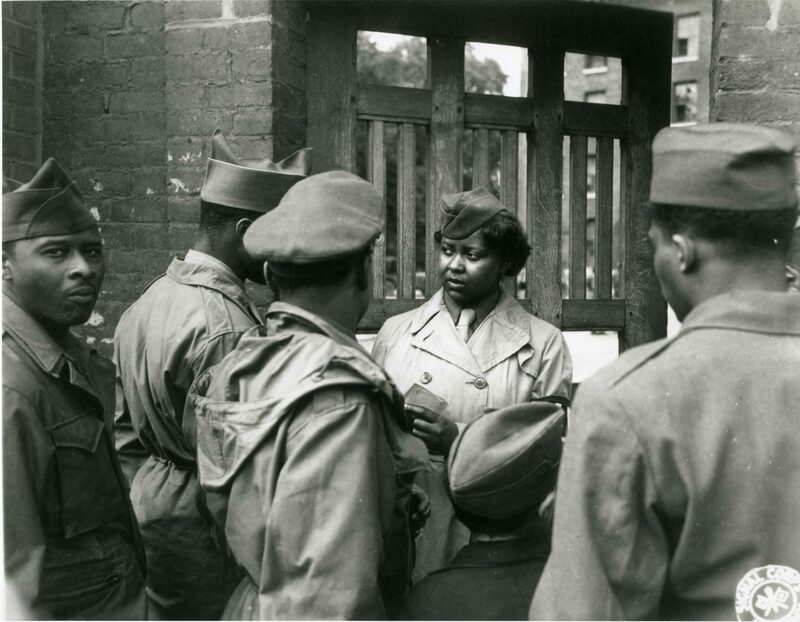 When the Red Cross opened a club for black women only, Major Adams asked her soldiers to resist the club. In a show of unity, no one from the battalion entered its doors. Several members of the unit’s basketball team were invited to play on an Army all-star team, but when the Army realized the players were black, the invitation was rescinded. Army policy forbade the mixing of races in units, including sports teams. The battalion’s team responded by going on to win the ETO Basketball Championship of 1945. The women easily made friends with the residents of Birmingham. The locals were skeptical at first, as many white American soldiers spread racist misinformation about African Americans. The women of the 6888th soon put those rumors to rest with their dignity and class. In many instances, the local populace treated the women better than they were treated back home. In May 1945, with the war in Europe over, the unit transferred to Rouen, France, via the port of La Havre. The women stepped onto the docks to discover mountains of rubble that used to be a port town. 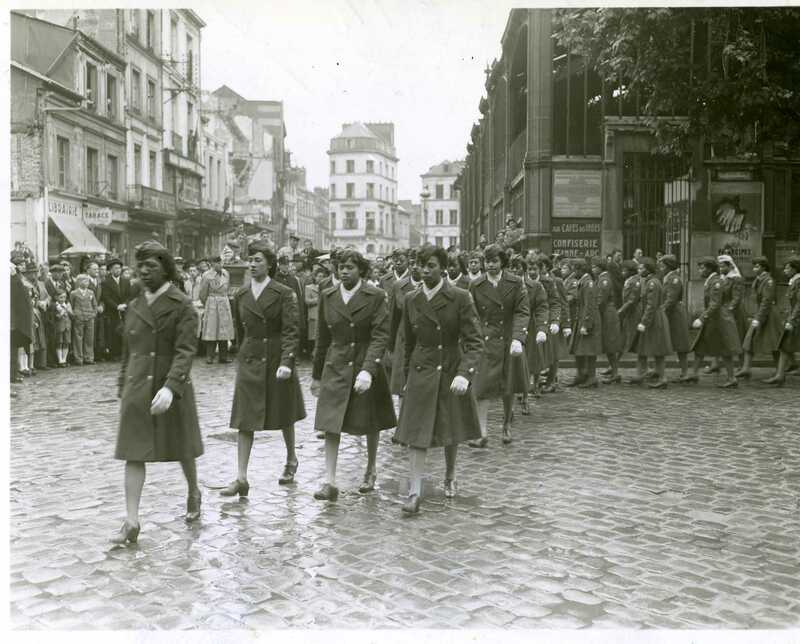 The greeting in Rouen on 20 May was much better as male African American soldiers were on hand to welcome the ladies. They carried bags and asked each woman her name, trying to find friends and family. Small reunions united the women and men who joined the military for a common cause. The sights may have changed, but the work was the same. In France, the mail had backed up for two to three years. Again, the battalion was ordered to deliver the mail in six months. Again, they did it in three. After five months in Rouen, the Battalion transferred to Paris. The women were housed in two lavish hotels: Bohy Lafayette for enlisted women and the Hôtel États-Unis for officers. For the first time in their military service—and for some women for the first time ever—the women were treated to maid service and meals prepared by the hotels’ cooks. While living conditions improved, their work became more difficult as more and more WACs transferred home. 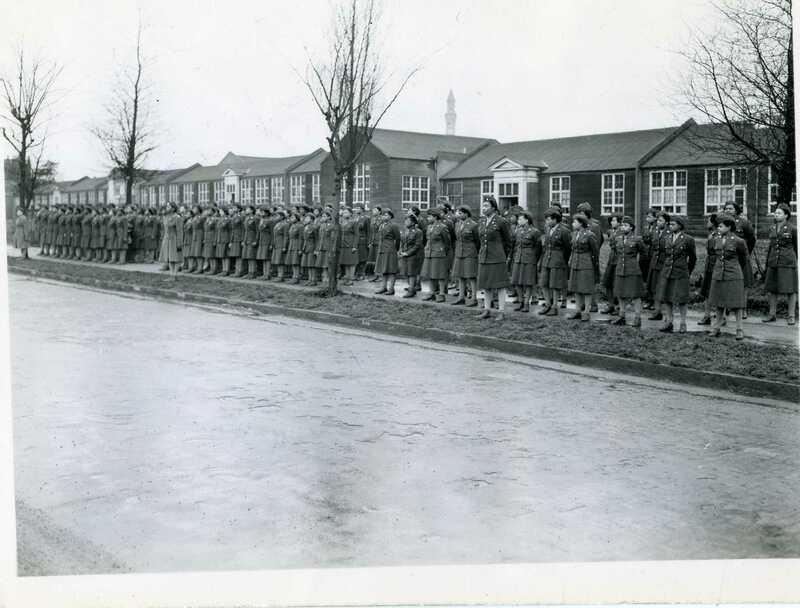 In November 1945, only 558 women out of the original 850 remained with the battalion. On 27 February 1946, the 6888th boarded the Claymont Victory for its return to the United States. The battalion was disbanded on 9 March 1946 at Camp Kilmer, New Jersey. For the women of the 6888th Central Postal Directory Battalion, World War II was truly a war of liberation. They served their country in trying conditions, accomplished their mission, and showed what African American women could do if given the chance.